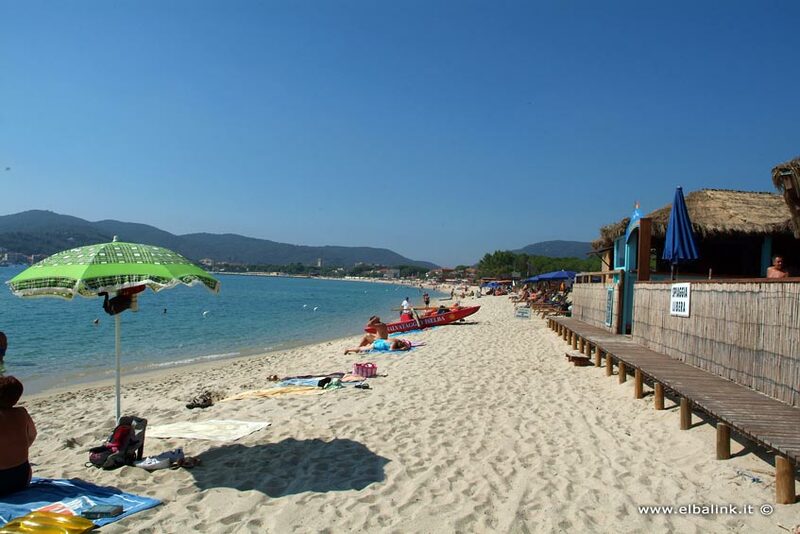 There are over 100 beaches on the Island of Elba, some quiet and others busy, but you can be sure you will get a beautiful tan on all of them as well as enjoy a swim in the deep blue sea. The choice of type of beach is endless: a long beach or a tiny cove; a fine golden, black, or white sands beach or one made up of smooth pebbles; even slabs of granite or cliffs that drop sheer down to the crystal clear sea. 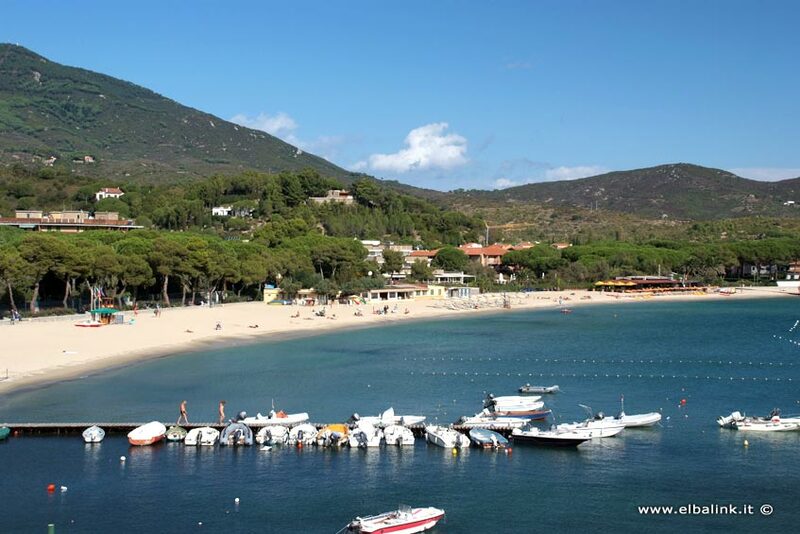 Marina di Campo: (exactly where our campsite is) it is the longest beach on the Island of Elba, and also one of the most popular, and consists entirely of white, granite sand. Its true beauty however, is best appreciated during the low season when it is quieter. Facilities: bathing establishments, bouys and wharfs for rent, sailing and windsurf schools, bars and restaurants. Fonza: about 100 metres long, part sand and part shingles, sheltered by a small gulf carved out of the cliffs. Southern winds here are quite frequent, but since this beach isn't very easy to get to, it is usually very quiet. 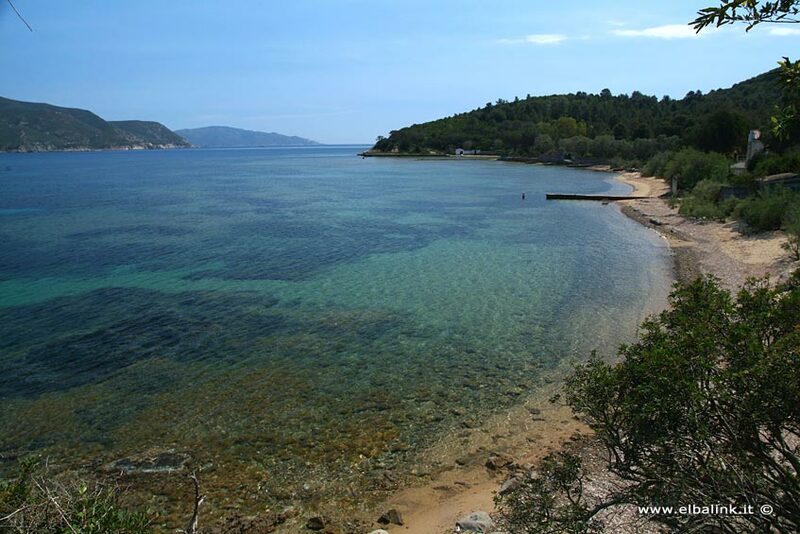 The Triglia Rock, one of Elba's most popular areas for underwater swimming, is facing this beach. The rock that juts out from the centre of the beach is very characteristic. 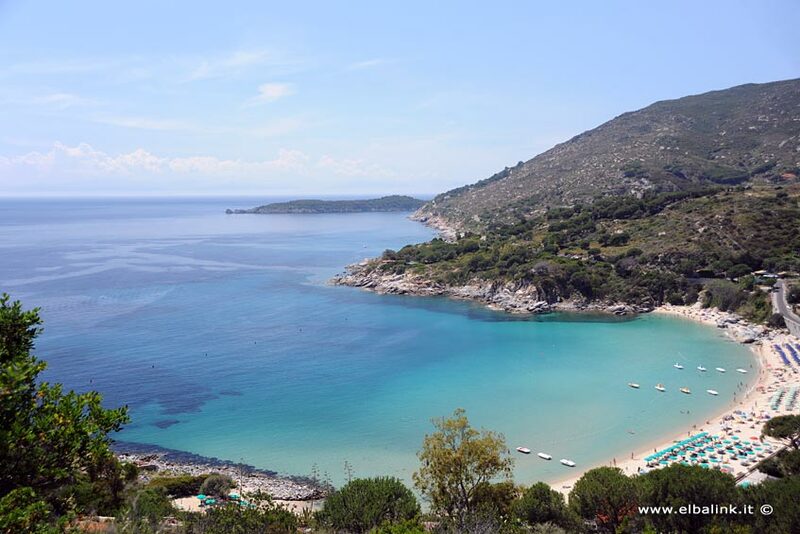 You can reach this beach either by following a narrow, dirt road for about 4km that starts off at the Hotel "Marina 2", at the junction for Marina di Campo - Lacona, or by boat. Facilities: no facilities, limited parking. Galenzana: a very quiet beach, about 900 metres from Marina di Campo and easy to get to on foot by simply following a path that starts off at the end of the town; most of the beach consists of sand though a small area also has small pebbles. Facilities: rental of beach umbrellas and deck chairs, pedalo rental. 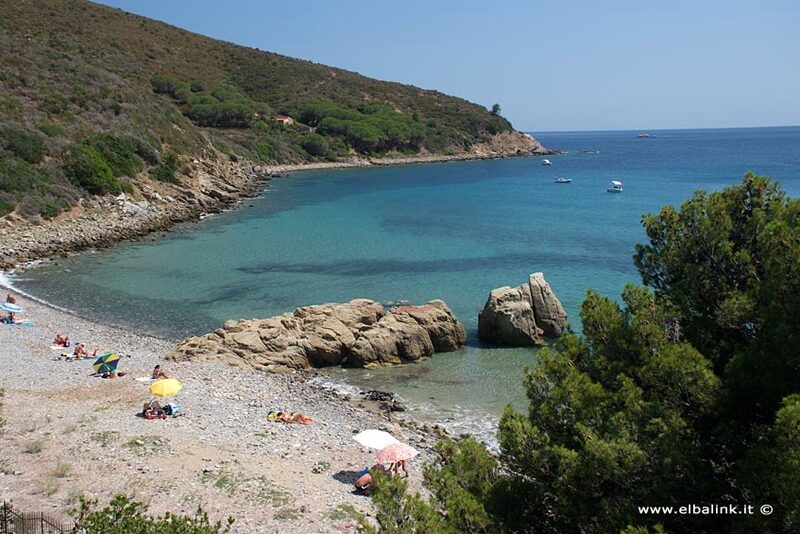 Cavoli: Thanks to its crystal clear water, its beautiful coarse grain sand and the mild climate that means you can go in for a swim even during the cooler months, Cavoli is one of the most famous beaches on the island of Elba. Over the years it has become busier and more popular especially among teenagers who come here on holiday, since they look upon it as a sort of meeting place. 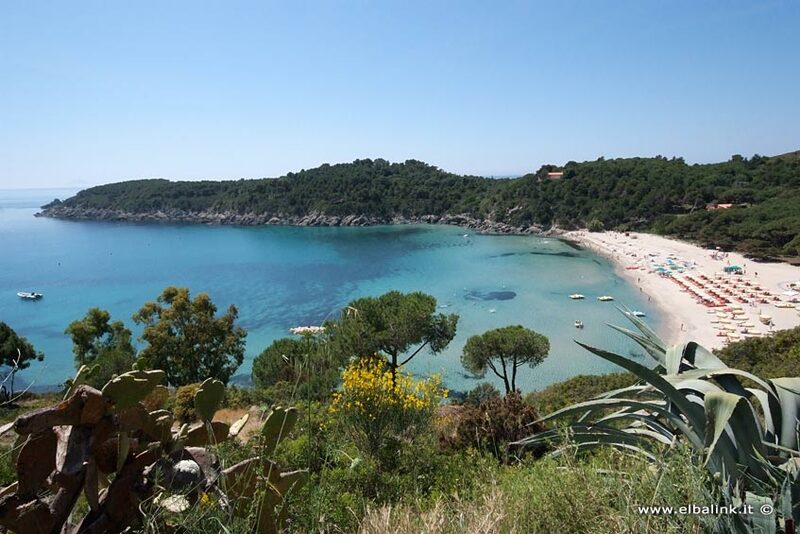 Keep going for 4 kilometres along the provincial road from Marina di Campo and follow the signs for Cavoli. Facilities: bathing establishments, bouys and wharfs for rent, bars and restaurants. Fetovaia: Fetovaia is strictly a tourist resort, and owes its reputation not only to its golden sands beach, but also to the beautiful, evergreen stretch of land that juts far out into the sea and shelters the crystal clear water. The coast on the left hand side consists of smooth, flat rocks that are easy to get to by following a short path, and a small pine grove for those who wish some shade. This beach, with its crystal clear water, coarse grain, white sands of granite origin, is perfect even in the cooler months, but bear in mind that it is very hot and crowded during the summer months.